The Northview Lady Chiefs split volleyball games with Flomaton Thursday. 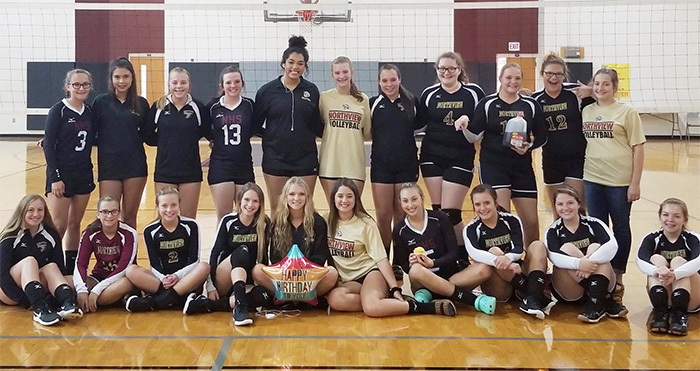 The Northview JV defeated Flomaton 25-15, 25-27, 15-9, and the Flomaton varsity topped Northview 25-17, 25-27, 25-22, 25-18. The Lady Chiefs are on the road Monday at Lighthouse Christian and Tuesday at Jay before returning home to host Central on Thursday. In high school golf Thursday, Tate came out on top with a score of 194, followed by Washington with 212 and Pensacola High with 224. Individual medalists were JT Semple from Tate with 40, Jett Zhang of PHS with 45 and Jace Anthony from Washington with 46. Photo for NorthEscambia.com, click to enlarge.